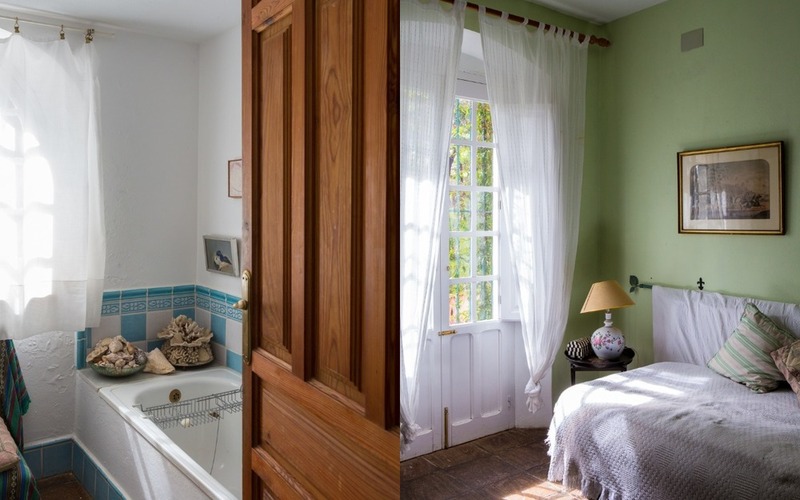 Find out more about the bed and breakfast rooms available at Finca Buenvino Bed & Breakfast near Aracena, Seville, Andalucia, Spain in the Sierra de Aracena National Park. 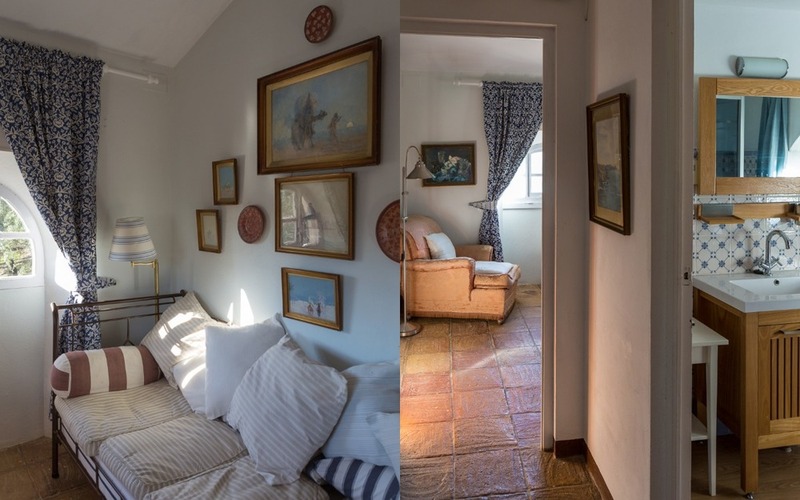 Set amongst a chestnut and cork-oak forest we operate as a family B&B and self-catering holiday cottages. We run cookery courses, photography courses, creative writing retreats and fitness retreats. Hiking trails and stunning views. 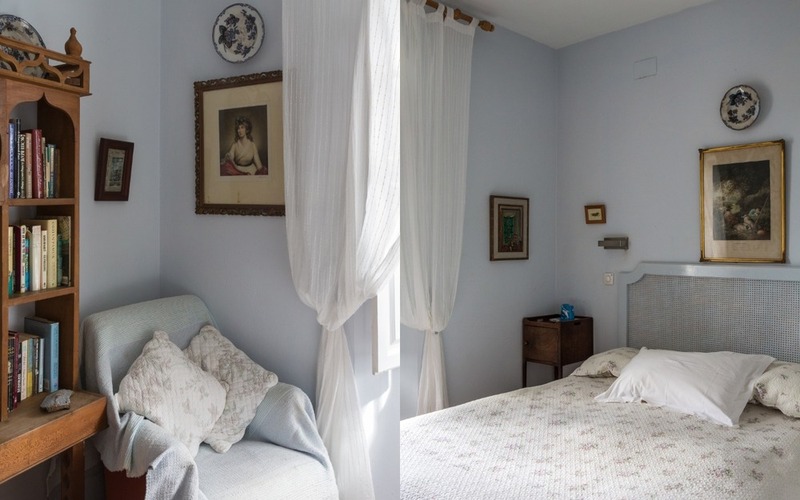 We are one of the most long-established B&Bs in Andalusia. 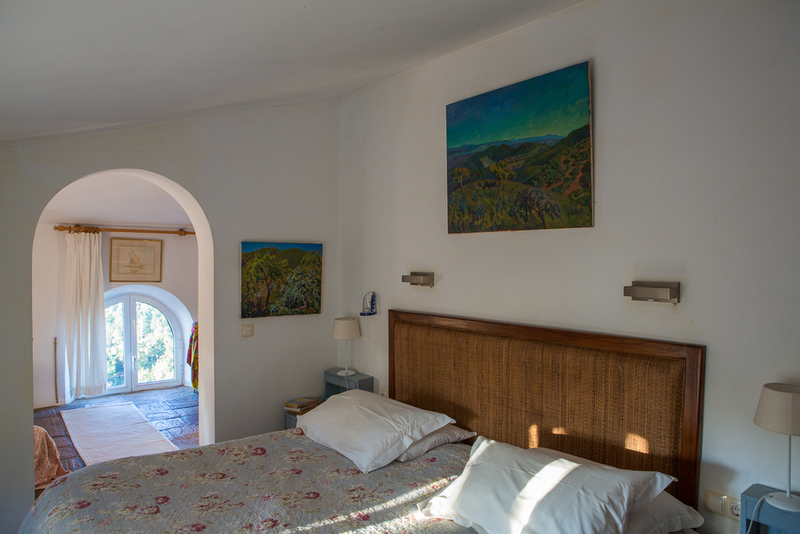 We provide simple but comfortable accommodation in the Sierra de Aracena National Park near Seville, combining an amiable and relaxed atmosphere with fantastic food, beautiful scenery, and a distinctive mix of classic charm and modern comforts. For more about our food and dining at Buenvino, see here, and for prices click here. 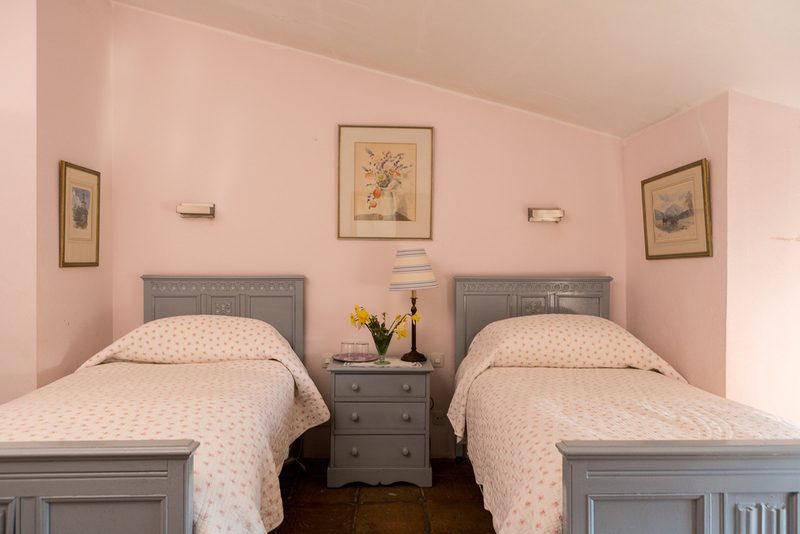 There are five bedrooms in the main house for those wishing to stay with us on a bed and breakfast basis. 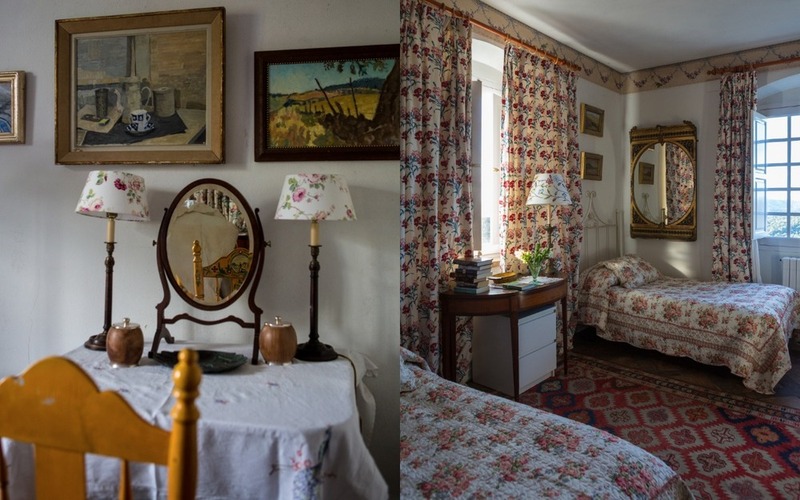 As the house is filled with an eclectic mix of furniture, paintings, pottery and books, so too the are the bedrooms. 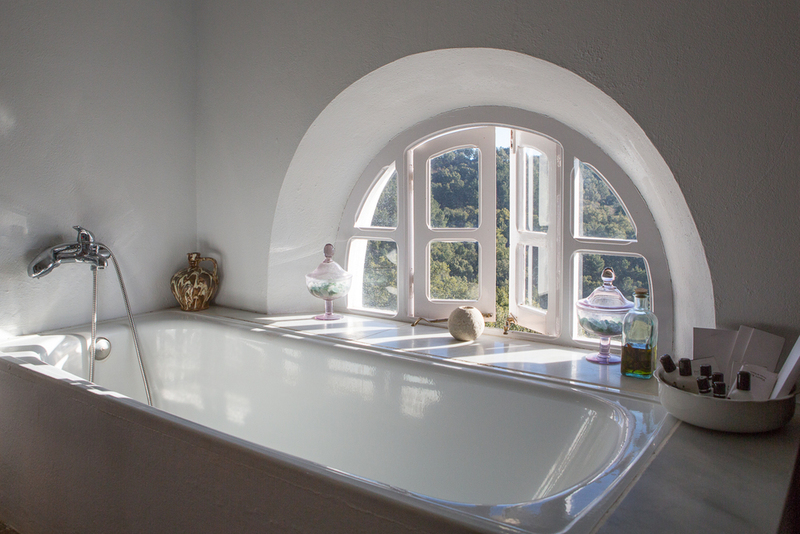 Each is distinctive, whether due to hand-painted walls, oriental hangings, a bath tub with a view, or a fireplace. The pool room is well away from the house; beside the swimming pool at the top of the hill. It's the building on the left in the picture you have just seen. We use only fine cotton sheets, and pillows are 90% goose down, 10% goose feather. 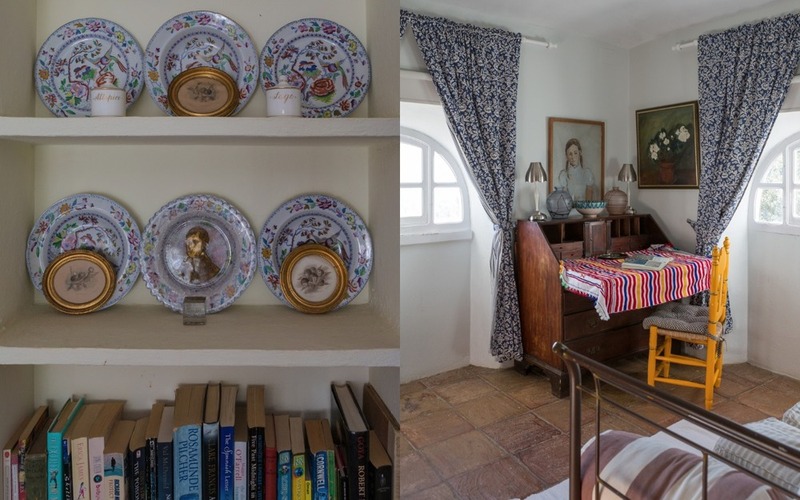 There is central heating in every room for chillier evenings, quality toiletries in each bathroom, and Wi-Fi connectivity in the main house for guests' use. Breakfast is served between nine and ten thirty, in summer either on the terrace or in the conservatory. Having breakfast with wide-ranging views over rolling countryside is a beautiful experience. Alternatively, we are happy to bring you breakfast in bed for a small extra charge. The Bird Room is on the 1st floor and has zip-link beds, which can either be made up as a double or as twins. It has outstanding views and a private terrace. There is a fireplace which can be lit on winter evenings. The private bathroom is across the landing and has a shower. 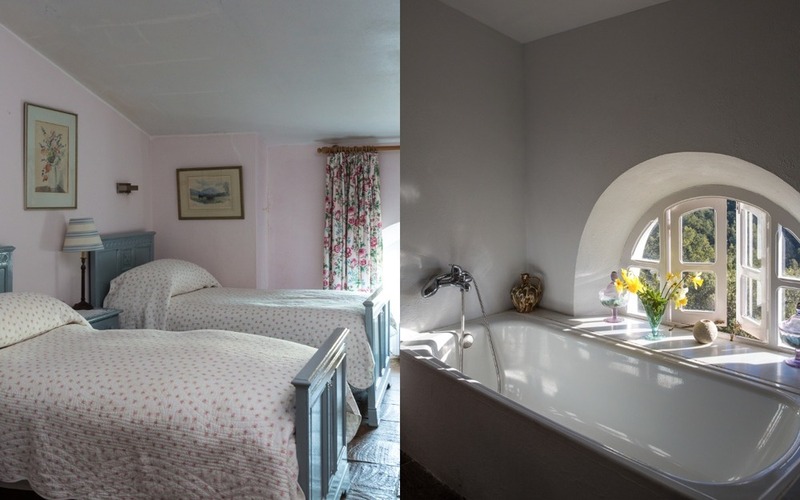 The Pink Room is on the top floor,with twin beds and en suite bathroom with bathtub which has views out over the hills. 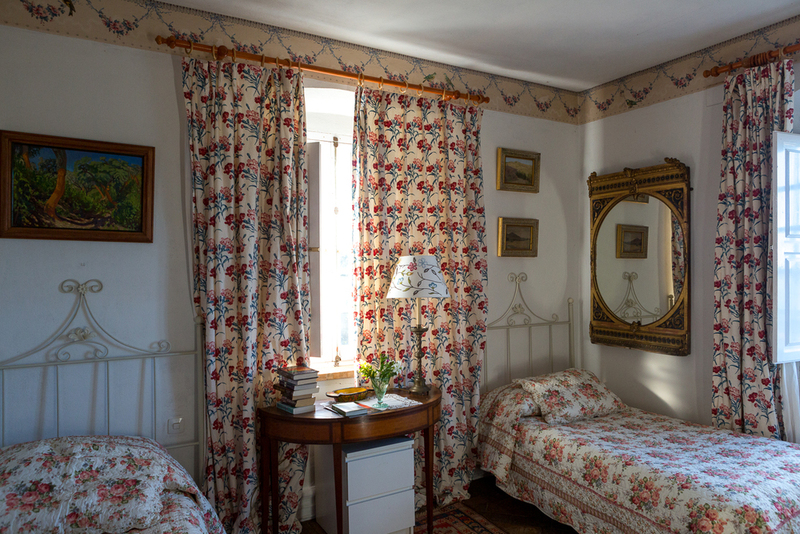 The Yellow Room is also on the top floor and the bed can either be king-sized or split as twins. This room has a small sitting/dressing area adjoining, and private bathroom across the passage, with shower. The Blue Suite on the mezzanine floor has a double bed, an en suite bathroom with tub, and an adjoining dressing room where we can make up beds for children if it is required as a family suite. The Corner Suite on the upper floor has a queen sized bed and an en suite bathroom with shower, as well as an adjoining sitting room/study.